Here's the run down! I've been pretty much on lock down getting all the upcoming prep for conventions, Anonymouse The Comic and everything in between. GrapeCity Con was a WONDERful Fun! The local conventions are always a nice way to stretch the HOD legs and bring out the big guns. A big thank you to all those who followed the White Rabbit to the Queen of Hearts! I've been working on getting the last bits of revamps for the upcoming comic I'm working on Anonymouse. The title says it all and nothing at the same time. Check out our Facebook page here - ANONYMOUSE We've kept as much of a tight lid on it as we can, the big reveal is coming soon! 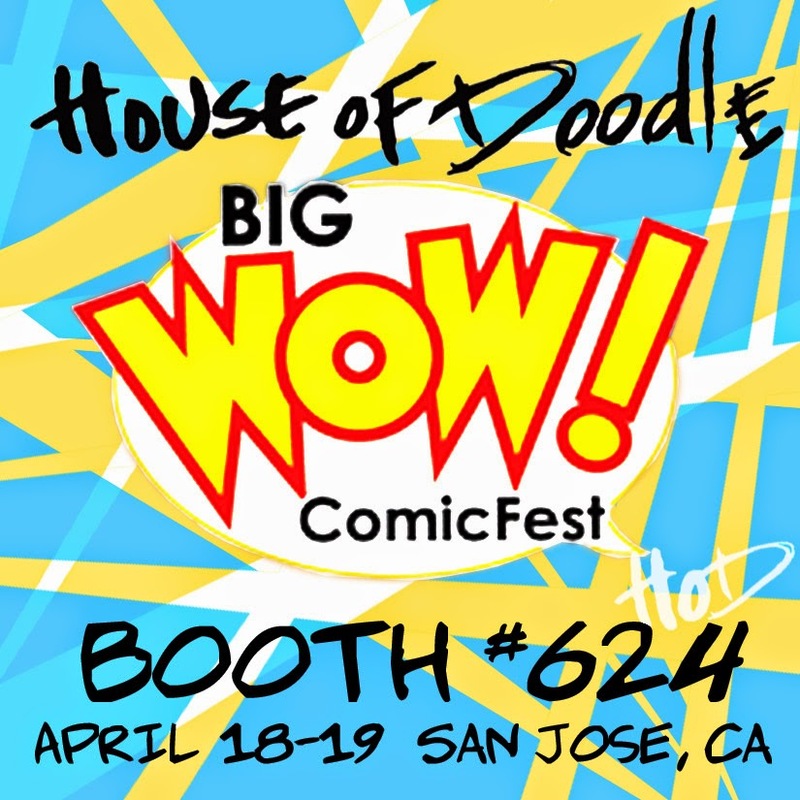 You'll be able to catch House Of Doodle at these upcoming Conventions. I'll be taking Commissions both days, be sure to get by the booth early if you have something special in mind. The HODdies/ HODhotties are back! And have something extra special planned. OOOH Man! Yeah, bringing everything! I'll be the one buried under Doodles. Have no fear my amazing team will keep on truck'n no matter what. No one gets left behind! With Stockton being home ground, we tend to go a little crazy and this year is no exception. You've been warned! Remember there's always more to come! Stay Up to Date via - Facebook - Instagram and Twitter for even more spoilers!